LatinaLista — Education is supposed to be the great equalizer. A better education gets you a better job with more money. Nobody ever tells us Latinas, that though we might make more money than our own parents did, it still won’t be the fair amount we earned. 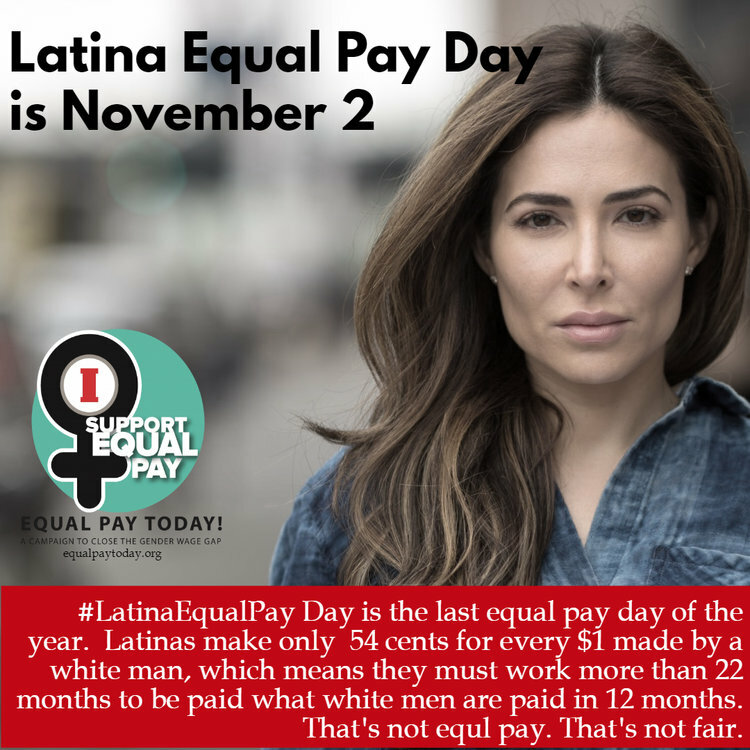 In fact, according to a new projection released by the Institute for Women’s Policy Research (IWPR), just in time for Latinas Equal Pay Day, Latinas fare the worst among all women waiting for equal pay with White men. Women overall will not see equal pay until 2059, but the pace of change varies significantly by race and ethnicity. The exceptionally slow pace of progress for Hispanic women, for instance, is nearly two centuries behind when White women should expect to see equal pay with White men (2056). Black women are not projected see equal pay until 2124, 107 years from now. It’s predicted that Latinas will have to wait 216 years, until the year 2233, to receive equal pay. But what is happening in the meantime is an even more gross injustice. The IWPR did an analysis on new data released by the U.S. Census Bureau in September and discovered that, at the median, Latinas working full-time for a year still receive pay low enough to qualify a family of four for food stamps. “If left unchecked, pay inequality could harm several generations worth of families and cripple future growth of the United States economy,” said economist and IWPR President Heidi Hartmann, Ph.D. The facts are discouraging but there are both easy and hard fixes to this injustice among hard-working Latinas. However, before any of these policy interventions can even be addressed, there is one important element that is needed — political will. There must be political will in Washington to truly create equality among its citizens. Until that is expressed and proven, it looks like Latinas, and all women, may be waiting far longer than IWPR projections indicate.